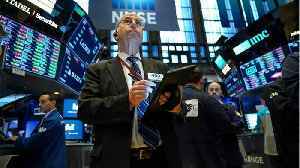 WASHINGTON — The Federal Reserve Bank of San Francisco on Friday announced the appointment of Mary Daly, a longtime Fed economist and a labor market specialist, as the next president of the regional bank. Daly replaces John Williams, who became president of the New York Federal Reserve Bank in April. When she begins Oct. 1, Daly will be among three women who lead one of the 12 Fed regional banks. The Fed, under pressure from activist groups, has made efforts to diversify its leadership. 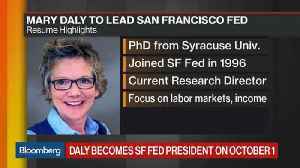 Daly, 55, who joined the San Francisco Fed in 1996 as a research economist, was appointed director of research in 2017. 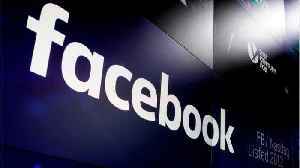 She has studied wages and jobs and economic inequality and has written several books. Sep.14 -- The Federal Reserve Bank of San Francisco picked long-time insider Mary Daly to be its next president, potentially bolstering the central bank’s dovish wing while diversifying the institution’s top ranks. 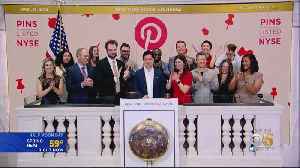 Bloomberg's Mike McKee reports on "Bloomberg Markets: The Close. 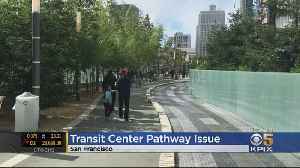 The walking path atop the Transbay Transit Center in San Francisco already needs to be replaced, and the cost could top $1 million. 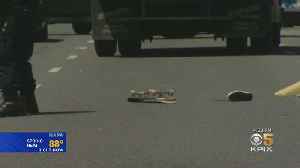 San Francisco’s board of supervisors have approved a pilot program that will allow overnight parking for people living in cars or RV’s. 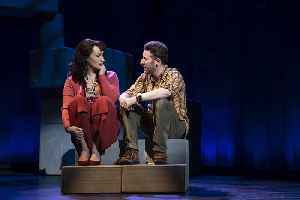 The Lincoln Center Theater Broadway production of Falsettos is at SHN in San Francisco and one of its stars, Eden Espinosa who plays 'Trina' talked to BAF about it. 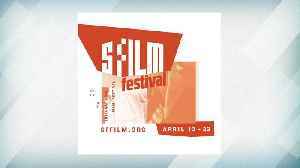 The San Francisco International Film Festival has something for every kind of cinephile. Rachel Rosen, Director of Programming tells BAF about this year's lineup. A new play, by and starring Sting is making its way to SHN in San Francisco and BAF's Len Ramirez got a chance to actually meet and talk to the star about it.